Bank manager Frank and award-winning author Patrizia run into each other repeatedly at the airport on their way to Paris. 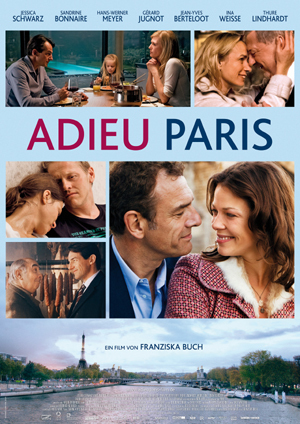 They each suffer important losses there: Patrizia loses her lover Jean Jacques, comatose after a car accident with little hope for recovery; Frank his career after the company Charcuterie Albert, which he planned on merging with a Swiss firm, deceives him with manipulated financial statements. But they also gain something enduring. Patrizia a new friend in Françoise, her lover’s wife with whom she shares her fate, and Frank, to his surprise, the crooked butcher Albert who at least knows one truth: the aroma of his sausages is worth far more than the rustle of imaginary money.